Reverb preset names are sometimes helpfully descriptive, giving you a clear idea of the sort of sound you can expect, as shown here... though sadly that's not always the case! I'm looking through my reverb plug-in's preset list, and I'm wondering: what do all those cryptic preset names mean? And I heard you should always send vocals to something with the word 'Plate' in it. Is that right? SOS contributor Mike Senior replies: Well, the names of presets are only useful if they give you an idea of what to expect sonically, and that's a bit hit-and-miss in my experience. I'm most sceptical about preset names with instrument suggestions in them, particularly if that's unqualified by any further information. Reverb use depends so much on the stylistic expectations and the nature of the recordings themselves (particularly what kind of spill, if any, is baked into the recordings), so a simple 'Snare' preset would rarely be of interest to me in practice. On the other hand, 'Epic Snare Boosh', 'Tight Snare Ambience', or 'Icy Rimshot Tail' might well entice my mouse click under appropriate circumstances. It's also quite common for a preset that's ostensibly named for one use to work very well for something completely different, or to provide a great base for editing into another form. So, in short, take those kinds of preset names with a huge pinch of salt! What I do find quite useful, though, are preset names which indicate something about the technical nature of the reverb that's being emulated. So if it says something like 'Church', 'Plate', 'Forest', 'Spring', 'Chamber', 'EMT250' or 'AMS Gate', I'll immediately have some idea of what to expect based on my past experiences with those acoustic environments or pieces of vintage technology. 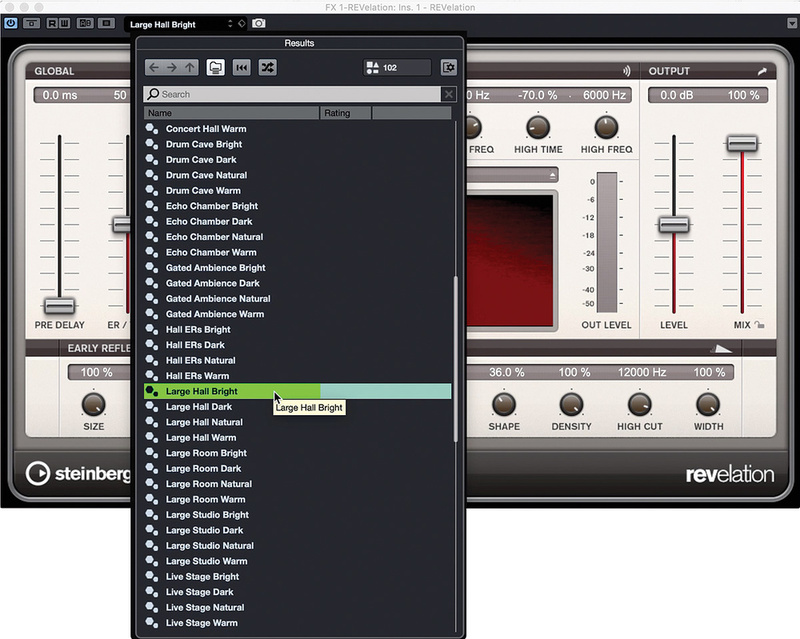 In that vein, you might find my 'Use Reverb Like A Pro' article from SOS August 2008 (https://sosm.ag/reverb-like-pro-pt2) useful, as it mentions a number of classic reverb devices and why they're popular. As for always sending vocals to a plate reverb, you'll be unsurprised that I'm wary of such categorical assertions at mixdown. Having said that, though, plates are particularly good for adding warmth and sustain to vocals, and because they don't have a natural acoustic signature they tend to distance a vocal less from the listener than a chamber or hall or room or whatever, so it's not a huge surprise that they get used a lot on vocals. I frequently use them on things like acoustic guitars and pianos too, where I want a lot of sustain, often with a high-pass filter to focus that sustain on the higher strings that naturally sustain less on the instrument.